Soi Thai Restaurant, with its modern contemporary interior, intimate atmosphere yet simple and elegantly furnished. One can enjoy the magnificent view of The WaterFront at Desa Park City. Relatively new in the food and beverage scene in Kuala Lumpur, Soi Thai Restaurant, a member of Pulai Group, offers authentic Thai cuisine. Diners can now enjoy the tasty, delightful and exotic Thai dishes and delicacies with the warm hospitality of Thai customs. Soi Thai Restaurant is located in the lush green & beautiful vicinity of Desa Park City, The WaterFront is a convenient one-stop retail and entertainment center for residents of Desa Park City and its visitors. A wide range of delicious dishes served in Soi Thai Restaurant is full of flavours and varied in its piquant taste, such as the Signature Fire Pot with Seafood Tom Yam, Soi Thai Appetizer Combo, Thai Style Otak-Otak, Thai Red Curry Roasted Duck, Choo-Chee Thai Red Curry Deep Fried Siakap Fish and Steamed Siakap with Lime and Chili Sauce is a must try! 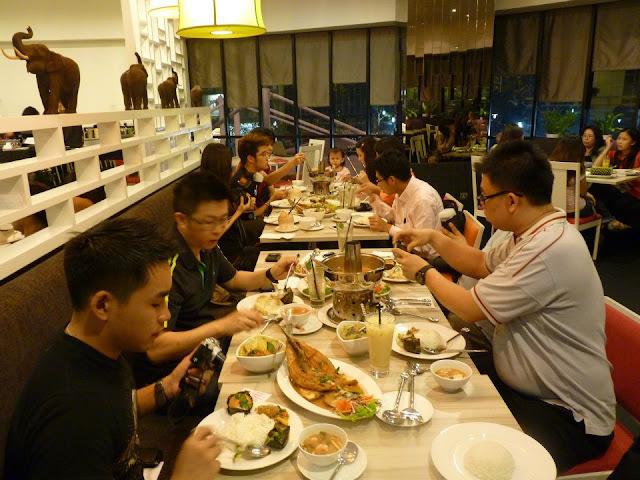 Soi Thai Restaurant is one of the city's more distinctive dining locales and is a perfect dining for family, friends or business partners for a truly memorable Thai gastronomic delight. The restaurant is also an ideal venue for private dining to celebrate special occasions, and dinner gatherings. Maybe you can celebrate your birthday party there as well! 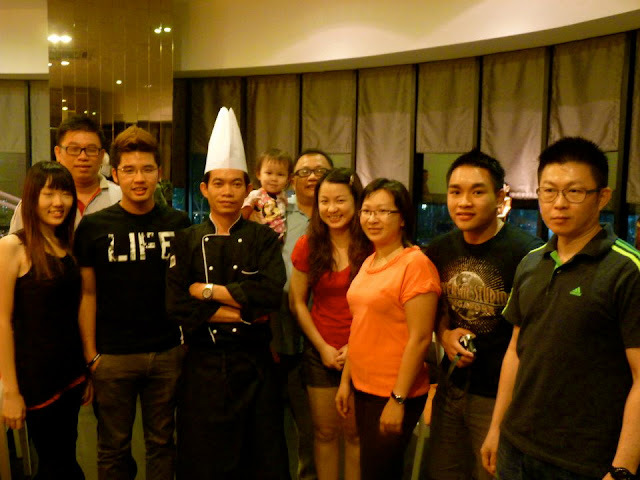 Last but not least, this is the awesome Chef who prepared all the awesome food below yo! and the lucky me who get to try all the awesome food as per above! looks so delicious (^^) !!! !